San Francisco is known for nature, museums, nightlife, shopping, and childrens museums. Your plan includes some of its best attractions: snap pictures at Golden Gate Bridge, browse the different shops at Ferry Building Marketplace, examine the collection at de Young Museum, and engage your brain at Exploratorium. 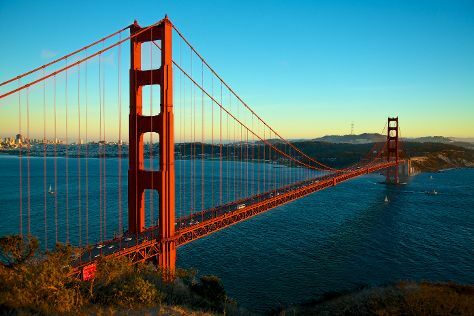 For more things to do, photos, other places to visit, and more tourist information, read our San Francisco trip builder website . Hyderabad, India to San Francisco is an approximately 21-hour flight. You can also do a combination of flight and train. Traveling from Hyderabad to San Francisco, you'll gain 13 hours due to the time zone difference. Prepare for colder weather when traveling from Hyderabad in March: high temperatures in San Francisco hover around 21°C and lows are around 11°C. Finish your sightseeing early on the 24th (Sun) to allow enough time to drive to Yosemite National Park. On the 26th (Tue), spend an exhilarating day on the slopes at Yosemite Ski and Snowboard Area. Spend the 27th (Wed) exploring nature at Elizabeth Lake, Yosemite National Park. Next up on the itinerary: take in the dramatic natural features at Glacier Point, stroll through Curry Village Ice Rink, hike along Lower Yosemite Fall Trail, and make a trip to Olmsted Point. To find reviews, photos, traveler tips, and tourist information, you can read our Yosemite National Park trip planner . Drive from San Francisco to Yosemite National Park in 4 hours. Alternatively, you can do a combination of flight and car; or do a combination of flight and bus. When traveling from San Francisco in March, plan for slightly colder days and cooler nights in Yosemite National Park: temperatures range from 13°C by day to -5°C at night. Wrap up your sightseeing on the 28th (Thu) early enough to travel to Los Angeles. Change things up with these side-trips from Los Angeles: Anaheim (Disneyland Park & Disney California Adventure Park). Pack the 31st (Sun) with family-friendly diversions at Universal Studios Hollywood. There's still lots to do: see the interesting displays at The Getty Center, take in the waterfront at Santa Monica Pier, explore and take pictures at Staples Center, and make a trip to Walt Disney Concert Hall. Traveling by combination of car and flight from Yosemite National Park to Los Angeles takes 4.5 hours. Alternatively, you can drive; or do a combination of bus and flight. Prepare for much warmer weather when traveling from Yosemite National Park in March: high temperatures in Los Angeles hover around 27°C and lows are around 14°C. Wrap up your sightseeing on the 2nd (Tue) to allow time to drive to San Diego. Take a break from San Diego with a short trip to Self Realization Fellowship Hermitage & Meditation Gardens in Encinitas, about 46 minutes away. There's much more to do: meet the residents at San Diego Zoo, pause for some photo ops at Cabrillo National Monument, let the kids burn off some steam at Balboa Park, and enjoy the sand and surf at La Jolla Cove. To see other places to visit, traveler tips, maps, and other tourist information, go to the San Diego trip planner . Getting from Los Angeles to San Diego by car takes about 2.5 hours. Other options: take a bus; or fly. In April, daytime highs in San Diego are 25°C, while nighttime lows are 17°C. Finish your sightseeing early on the 6th (Sat) to allow enough time to travel to Grand Canyon National Park. On the 9th (Tue), hike the day away at Bright Angel Trail. There's lots more to do: take in breathtaking views at Grand Canyon South Rim, tour the pleasant surroundings at Rim Trail, don't miss a visit to Grand Canyon Village, and take some stellar pictures from Grandview Point. For where to stay, other places to visit, traveler tips, and more tourist information, you can read our Grand Canyon National Park trip planner . You can do a combination of flight and bus from San Diego to Grand Canyon National Park in 8 hours. Alternatively, you can drive; or do a combination of flight and shuttle. You'll lose 1 hour traveling from San Diego to Grand Canyon National Park due to the time zone difference. Traveling from San Diego in April, expect nights in Grand Canyon National Park to be colder, around -3°C, while days are slightly colder, around 19°C. Cap off your sightseeing on the 11th (Thu) early enough to travel to Las Vegas. Take a break from Las Vegas with a short trip to Hoover Dam in Boulder City, about 50 minutes away. There's still lots to do: explore the wealth of natural beauty at Red Rock Canyon National Conservation Area, try to win big at Casino at the Venetian, ponder the design of Bellagio Fountains, and take a stroll through The Strip. To find more things to do, maps, where to stay, and tourist information, read our Las Vegas tour builder site . Do a combination of flight and car from Grand Canyon National Park to Las Vegas in 4.5 hours. Alternatively, you can drive; or take a shuttle. You'll gain 1 hour traveling from Grand Canyon National Park to Las Vegas due to the time zone difference. Expect a bit warmer weather when traveling from Grand Canyon National Park in April: highs in Las Vegas hover around 31°C, while lows dip to 16°C. Cap off your sightseeing on the 15th (Mon) early enough to travel to Yellowstone National Park. Yellowstone National Park is known for nature, wildlife, trails, historic sites, and nightlife. Your plan includes some of its best attractions: explore the stunning scenery at Grand Canyon of the Yellowstone, contemplate the waterfront views at Yellowstone Lake, explore and take pictures at Yellowstone Institute, and take in the dramatic natural features at Lower Geyser Basin. 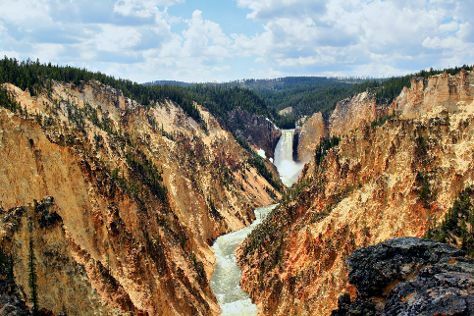 To find out how to plan a trip to Yellowstone National Park, use our trip itinerary maker. Traveling by combination of flight and car from Las Vegas to Yellowstone National Park takes 7 hours. Alternatively, you can drive. Traveling from Las Vegas to Yellowstone National Park, you'll lose 1 hour due to the time zone difference. Traveling from Las Vegas in April, expect Yellowstone National Park to be cooler, temps between 6°C and -9°C. Finish your sightseeing early on the 19th (Fri) so you can travel to Portland. Kick off your visit on the 20th (Sat): sample some tasty brews at a beer tour and tasting, then trek along Forest Park, and then look for gifts at Powell's City of Books. 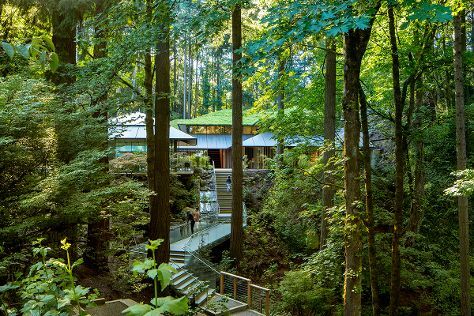 Keep things going the next day: admire the natural beauty at Lan Su Chinese Garden, then trek along Wildwood Trail, then steep yourself in history at Pittock Mansion, and finally take in nature's colorful creations at Portland Japanese Garden. To see where to stay, traveler tips, more things to do, and other tourist information, refer to the Portland route planning site . Getting from Yellowstone National Park to Portland by combination of car and flight takes about 7 hours. Other options: do a combination of bus, shuttle, and flight; or drive. Due to the time zone difference, you'll gain 1 hour traveling from Yellowstone National Park to Portland. Prepare for much warmer weather when traveling from Yellowstone National Park in April: high temperatures in Portland hover around 20°C and lows are around 8°C. Finish your sightseeing early on the 21st (Sun) to allow enough time to travel to Seattle. On the 22nd (Mon), meet the residents at Seattle Aquarium, then make a trip to Space Needle, then admire the masterpieces at Chihuly Garden and Glass, and finally wander the streets of Pike Place Market. On the 23rd (Tue), you'll have a packed day of sightseeing: see the interesting displays at The Museum of Flight, admire the masterpieces at Tacoma Art Museum, then see the interesting displays at Washington State History Museum, and finally appreciate the history behind Fremont Troll. To find photos, ratings, maps, and more tourist information, you can read our Seattle tour app . You can fly from Portland to Seattle in 3 hours. Other options are to drive; or take a bus. In April in Seattle, expect temperatures between 19°C during the day and 9°C at night. You will have some time to spend on the 24th (Wed) before leaving for home.